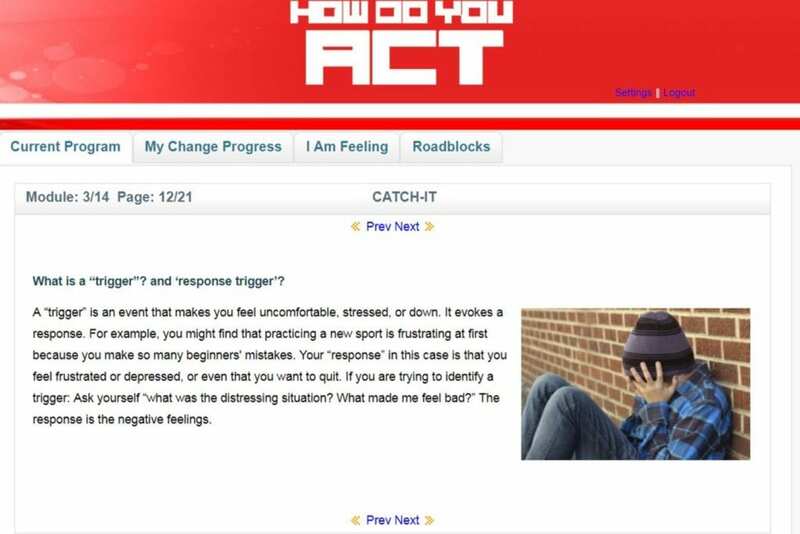 The multicenter, randomized clinical trial compared the CATCH-IT intervention – which consisted of depression-specific online learning modules, motivational interviews and coaching – with a control intervention. The control intervention consisted of general health education and was similarly delivered through online learning modules. "We need to move depression care away from reactive treatments to widespread prevention, but to be successful we need more research on which interventions work, and for what patients, in primary care settings," Van Voorhees said. "This is the first study to test a depression prevention intervention in a primary care setting — primary care providers are likely to be the first people parents ask for help and they are also often among the first to identify worrisome trends towards depression." Co-authors on the study from UIC are Daniela Terrizzi, Jennifer Nidetz, Joshua Fogel, Megan Bolotin, Marian Fitzgibbon, Dr. Carl Bell, Linda Schiffer and Monkia Marko-Holguin. Additional co-authors are Lauren Thomann of Wellesley College; Allison Stinson of the University of Chicago; Dr. Jason Canel and Dr. Nina Liu of NorthShore University HealthSystem; Dr. Eumene Ching of Harvard Vanguard; Anita Berry of Advocate Children's Hospital; Dr. James Cantorna of Franciscan Medical Specialists; Milton Eder of the University of Minnesota; Kathy Griffith of the Australian National University; Dr. Patrick Ip of the University of Hong Kong; David Aaby and Hendricks Brown of Northwestern University; Dr. William Beardslee of Harvard Medical School, and Theodore Crawford of Chicago State University. The authors noted disclosures relevant to the study, which was supported by the National Institute of Mental Health (R01MH090035), one of the National Institutes of Health.